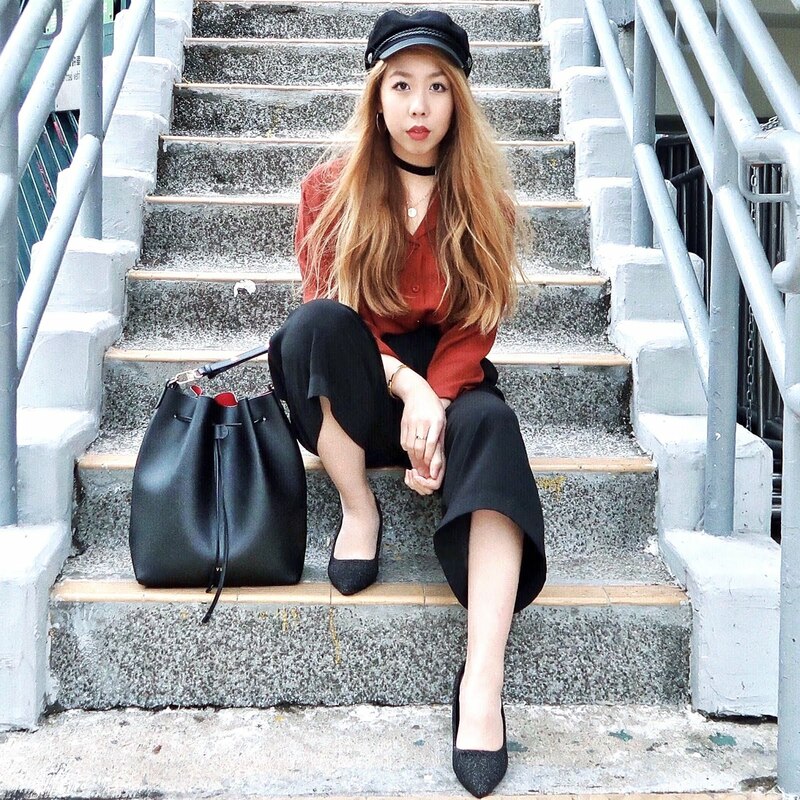 All of my trips this year are concentrated in the Summer and as much as I love to travel, commuting in and out of the airport every couple of weeks really takes it out of me! 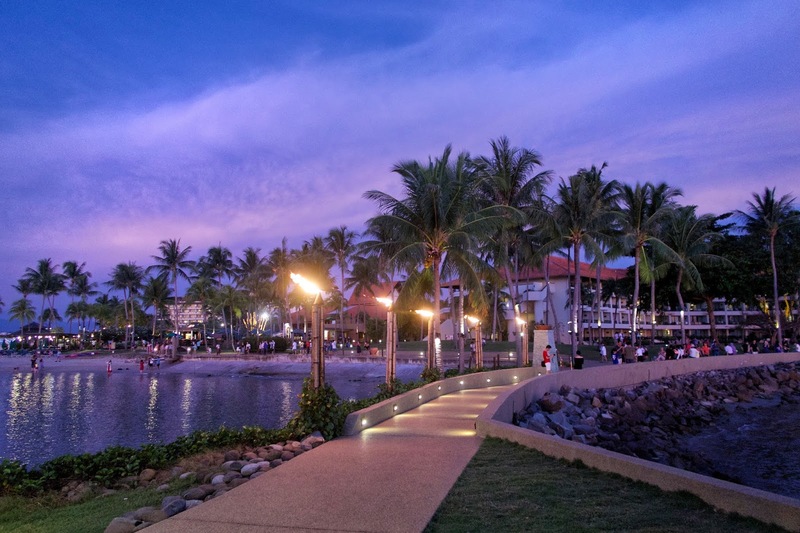 Cue a weekend of paradise at Shangri-La's Tanjung Aru Resort & Spa. 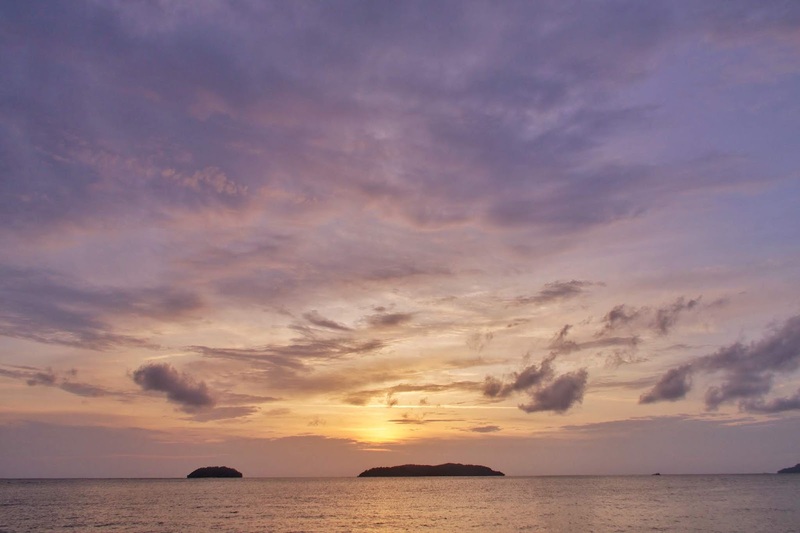 This incredible retreat in Kota Kinabalu is almost other worldly in its offering and has me utterly convinced that waking up to the sound of waves lapping the beach and to the sight of the sun rising behind swaying palm trees, is the ultimate key to happiness. 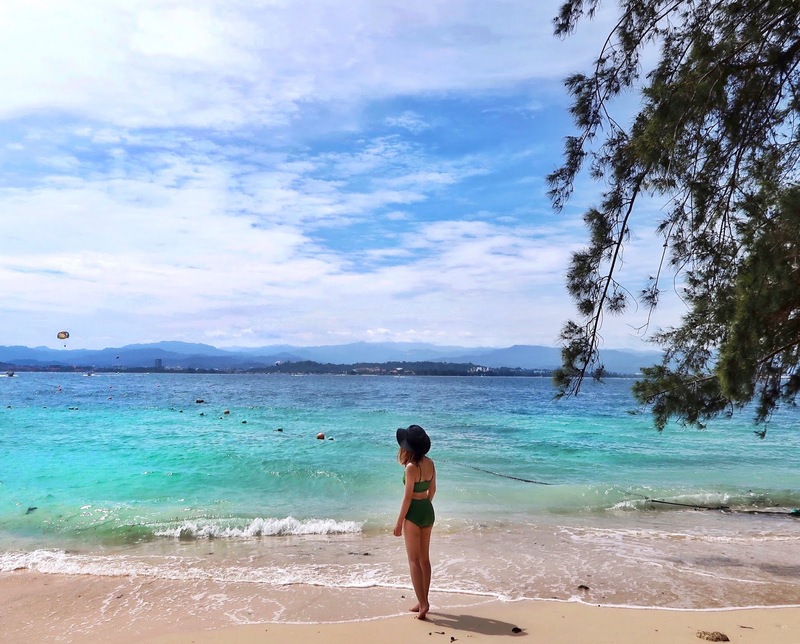 This was my first time in Malaysia, and Shangri-La's Tanjung Aru Resort & Spa made sure it was a stay I would never forget. 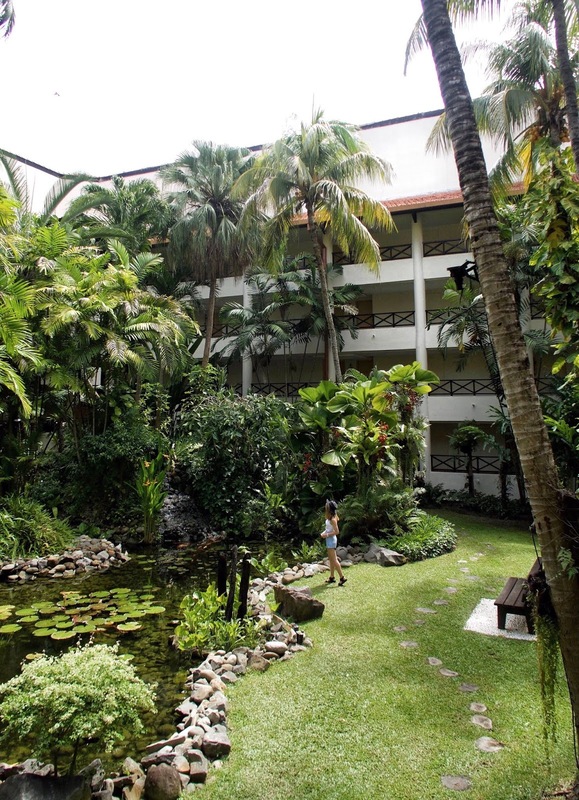 25 acres of beautifully landscaped gardens set against a sweeping bay, with 5 idyllic islands and the ocean in full view, it’s easy to forget that this resort is only a stone’s throw away from the city centre and a 15 minute drive from the airport. 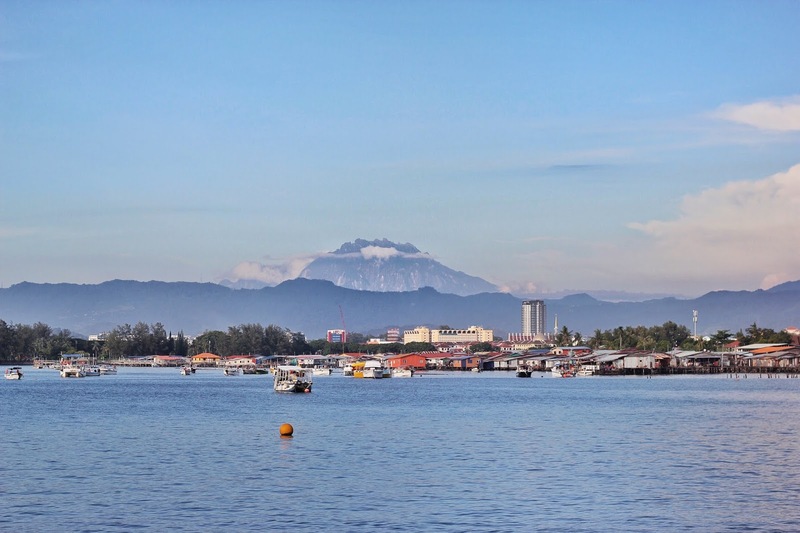 The resort seems to be curated so as to mimic the tropical rainforest that surrounds the city of Kota Kinabalu, displaying a natural beauty for all the senses. We came during peak season and naturally expected much hustle and bustle as people took advantage of this family friendly resort during the Summer break. 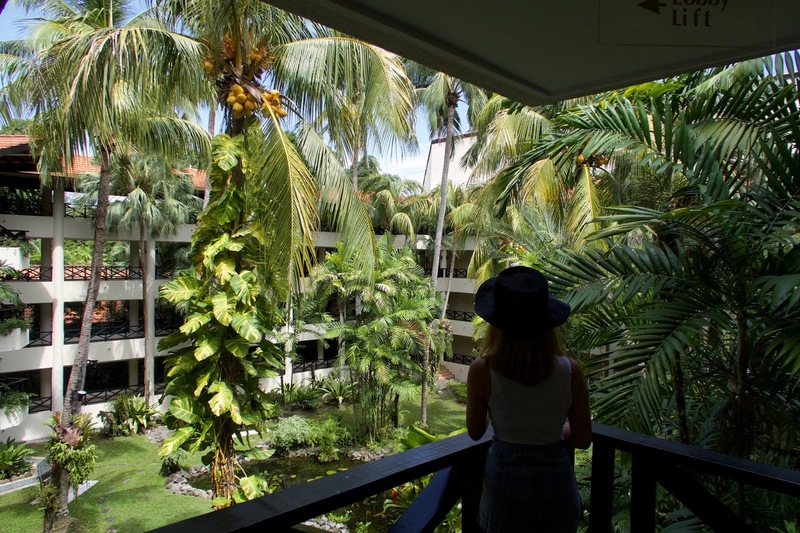 However, the sheer length and breadth of this hotel combined with intelligent architecture, private islands and careful placement of tendered to flora, meant you were never denied a moment of tranquility. It was easy to avoid pockets of activity and peacefully soak up the sun without losing the vibrant, fun mood just by being in proximity to other guests having the best time! 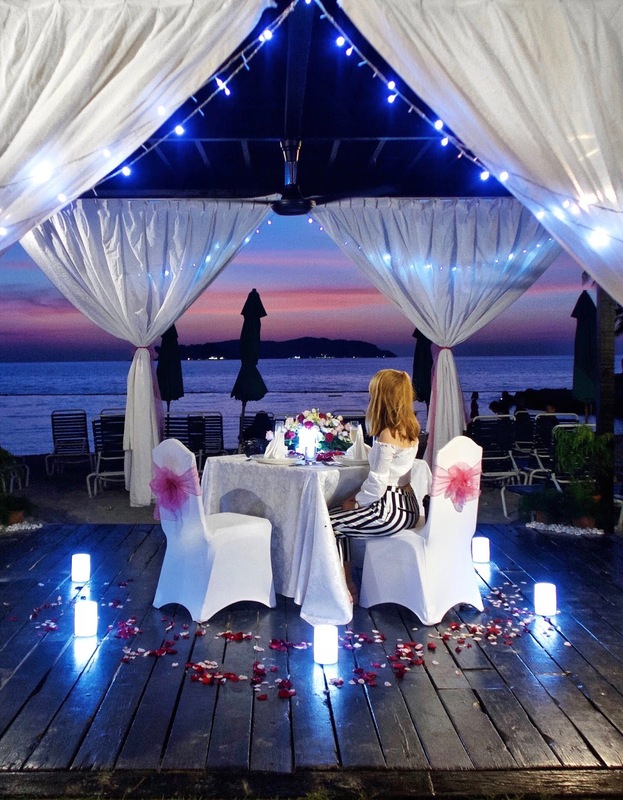 Shangri-La's Tanjung Aru Resort & Spa is home to 492 luxurious rooms and suites in two wings. 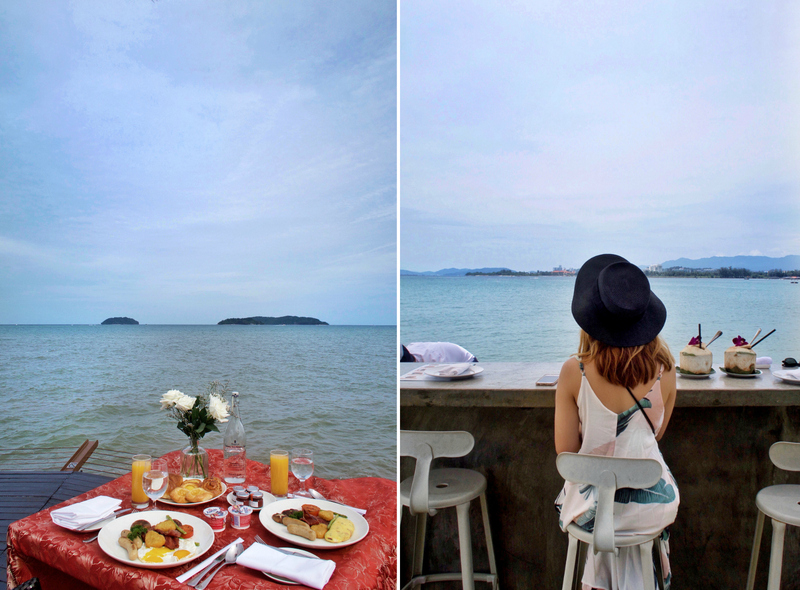 We stayed in the Tanjung Wing in a room that opened up to a stunning view of the sparkling ocean as far as the eye could see. I still dream of opening up balcony doors to a fresh ocean breeze. If you’ve had your fill of gazing out into the ocean from the comfort of your bed, STAR Marina offers private shuttle services to any of the nearby islands for a dose of adrenaline with professional water sports and activities. They’ll help you take to the sea for a day of jet skiing, parasailing, wind surfing and paddle-boarding amongst many others. For a more chilled out version of events, a day at one of the beaches for swimming and snorkeling in the sea is a must on your itinerary. 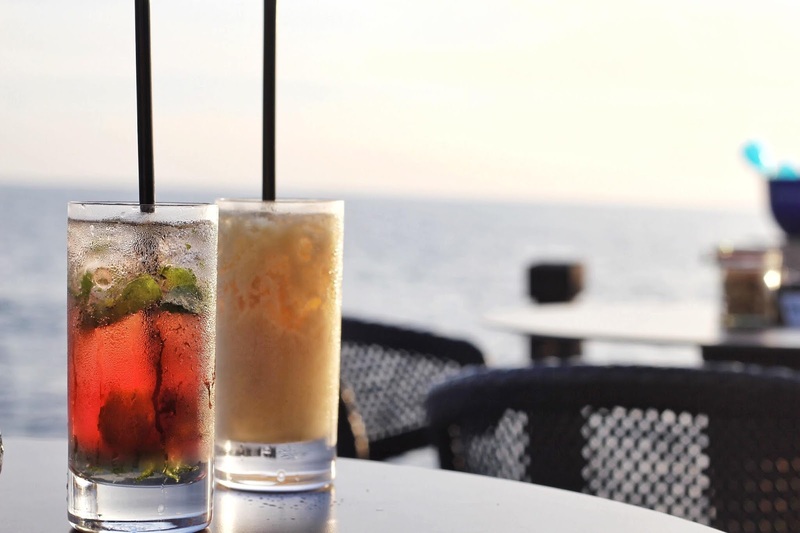 There is no doubt that if you do anything at this resort, it’s to book yourself a seat at the Sunset Bar for the most unfiltered view of the sunset whilst sipping on a perfectly mixed, refreshing, fruity cocktail. I think breathtaking is the only way to describe this view. The staff at the resort were also so kind as to arrange a private “Castaway” dinner for us. 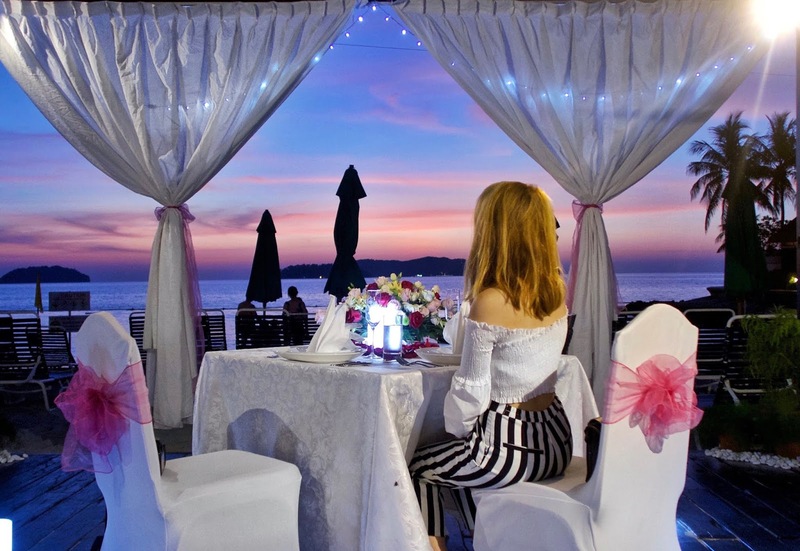 Clinking our champagne glasses to an enchanting backdrop of the sky, a mix of dusty pinks and purples, Shangri-La Tanjung Aru Resort & Spa made sure romance was well and truly alive for us this evening. 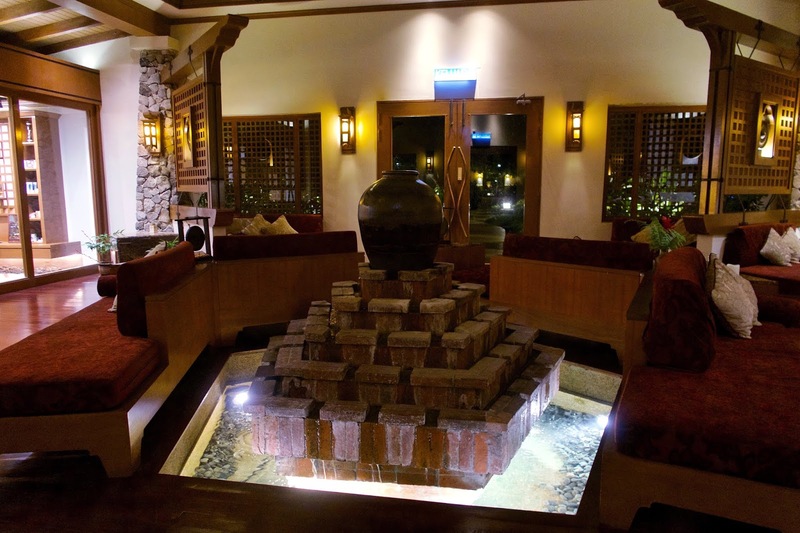 Chi, The Spa boasts eight island villas featuring private treatment rooms, lounging areas, steam rooms, outdoor gardens and bathing facilities. Despite being located within the resort, these private villas felt a hundred miles away from everywhere and everyone else. 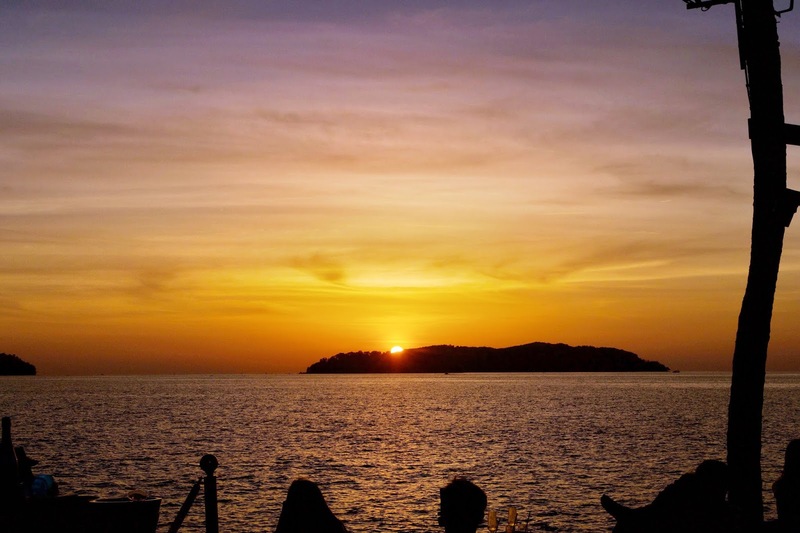 The only sound came from the ocean and made the ideal setting for perfect relaxation. I can barely remember how long our couples treatment lasted, all I remember is pure bliss. 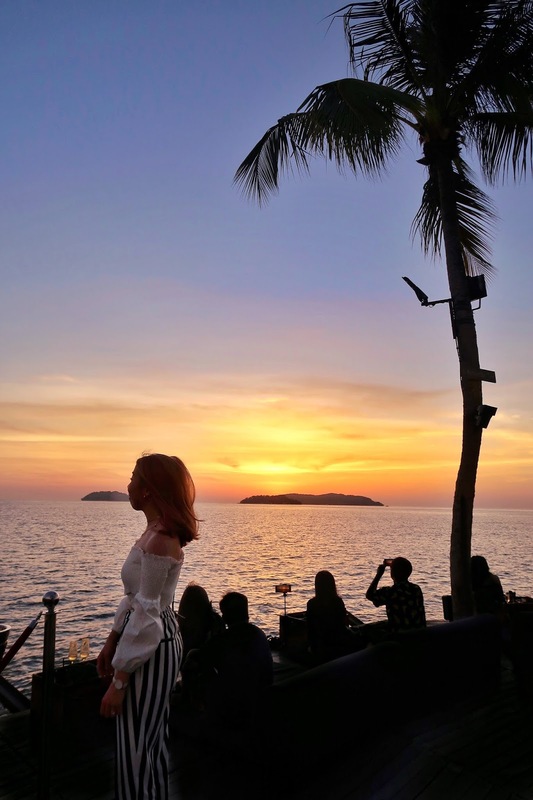 I always recount my time at Shangri-La's Tanjung Aru Resort & Spa with a huge grin on my face and couldn't recommend it enough whether it be for a couple's getaway or for a family holiday. 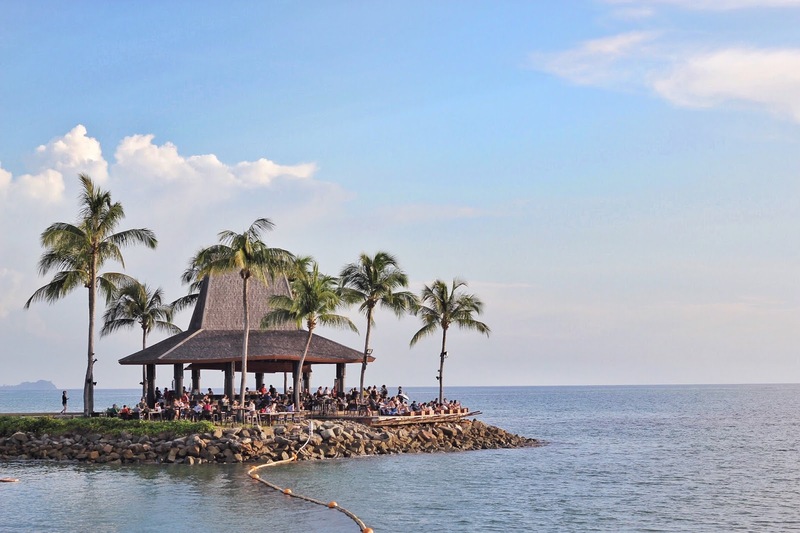 The design and offering of this resort doesn't make these two demographics a dichotomy, but rather a harmonious setting so that everyone can get what they want out of their trip. I actually travelled with my family and whilst Tim and I had moments where we were able to steal away for romantic dinners and sun gazing, the kids and their parents were occupied for hours on end at the spectacular pool and water play area, stopping only to refuel at one of the 7 restaurants and lounges Shangri-La Tanjung Aru has to offer. 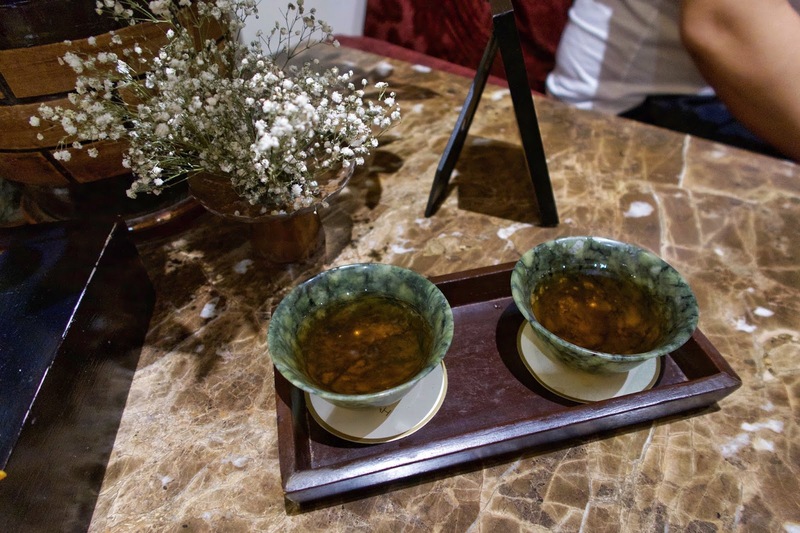 Thank you so much to the Shangri-La team for welcoming us into your little corner of heaven. It was beyond my wildest dreams!